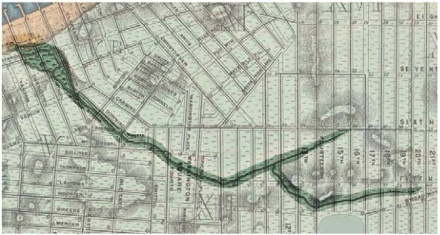 Map of Minetta Brook circa 1865 by Egbert Viele. What do the courses The History of the Novel,, World Political Economy, and Hungering for Opportunities: Food and Migrations,, have in common? Other than all being offered this semester at The New School, they’re among the 33 courses currently running that touch on the theme of water in some significant way. Although very few are expressly designed around the topic of water, it’s typical of H20 to somehow find its way into the conversation. From storm drains to streams to syllabi, water has a way of making its presence known, quietly, but powerfully. From Monday, March 28 to Friday, April 1, The New School’s first-ever Water Week will dive deep into the subject to examine the way water affects culture, economy, politics, and daily life at local, national, and global levels. Water Week exemplifies The New School’s tradition of reaching across disciplines and into the community to address pressing real-world concerns. 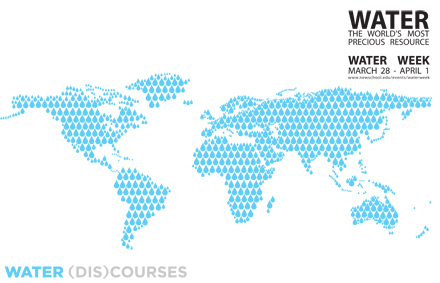 Water Week is sponsored by the graduate program in International Affairs (GPIA). Visit the festival’s website for a full schedule, including times and locations.